A PMO panel will now decide the fate of Facebook's Free Basics internet service in India. Apparently the PMO is displeased with Facebook's response to the TRAI consultation paper on Differential Pricing. According to a report by Economic Times, the Prime Minister's Office has stepped into the ongoing debate on Facebook's Free basics and the issue of differential pricing for data services. The PMO has appointed a panel consisting of Communications and IT Minister Ravi Shankar Prasad, Science and Technology Minister Harsh Vardhan and Minister of State for PMO, Jitendra Singh. This panel, headed by IT Minister Ravi Shankar Prasad, will meet and submit its recomendations on the issue of Differential Pricing, post TRAI's comments on the same. TRAI has been debating the issue of Differential Pricing for a while now. The regulatory body had issued a consultation paper for the same, which was followed by comments from stakeholders such as telecom companies, net neutrality activists, developers and content providers. TRAI had also hosted an open house to discuss the issue of differential pricing, which saw mixed emotions on the implementation of OTT services such as Free Basics. TRAI was supposed to come up with a set of guidlines on Differential Pricing by January 31, 2016, but there seems to be a delay in that process. The regulator is now expected to voice its thoughts by the end of this week. Media reports doing the circles suggest that TRAI is leaning towards keeping the internet free of bias and this does not look too good for Facebook's plan of providing free but limited internet services to Indians thorugh Free Basics. 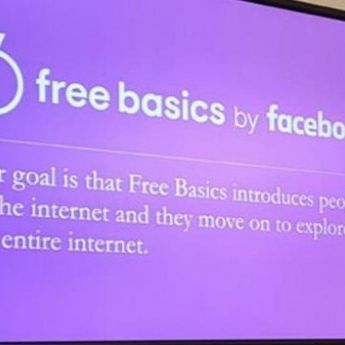 Let us know your thoughts on Facebook's Free Basics in our comments section below.